There’s More to World Cup Than Football: Get a Load of These Baubles! Russia’s Nizhny Novgorod is host to six football matches this World Cup tournament. Situated on the Volga River, the city has become temporary residence to a small army of British fans. They travelled nearly four thousand miles in the hope that England would thrash Panama on Sunday afternoon (they were right). The less fortunate Panamanians travelled even further. While many of the visitors were content to take in the game and knock back a few beers, there’s a class of visitor seeking a rather more highbrow form of entertainment. For fans wanting to squeeze a little more culture out of their trip, and gaze at more than just the bottom of a beer glass, Nizhny is opening up the cultural hotspots of the city. The Ariel Glass Factory is one such place. Here, in the heart of rural Nizhny Novgorod, sits an ornament factory, where it is Christmas all year round. The owner of the factory has compared the workers of the factory to Christmas elves, working through the year to spread Yuletide cheer come December. Each ornament is hand-blown, pressed and painted before being shipped off around the world. Producing over a thousand hand-blown baubles a day, Nizhny Novgorod’s ornament factory is one of the most prolific in the world. 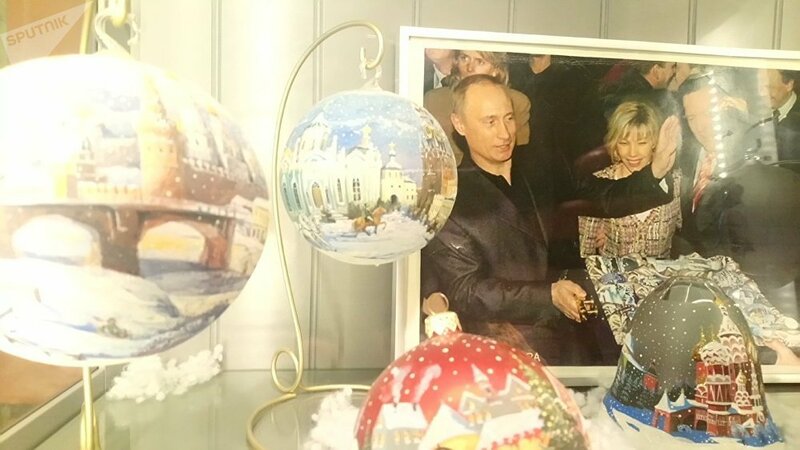 They have made ornaments for everybody from Vladimir Putin to graffiti artists in Las Vegas. As a tribute to Russia’s current sporting fixation, they even have a World Cup ornament series. This, however, is not surprising. After speaking with the owners, it seems that the factory has an ornament for every occasion (even if that occasion falls a long way away from Christmas time). But how did such a factory come about? Planted off a beaten track in rural Russia, and rocking ‘White Christmas’ in thirty degree heat, this little industry almost seems too surreal to be true. And there you have it. Somewhere, far away from everything else, there is a little factory fighting tooth and nail to ‘make Christmas’, churning out hand-blown baubles all through the summer. And who knows, maybe you’ve got an Ariel ornament stashed away, among the tinsel in the Christmas box in your attic.